Not using your control panel? Didn't even know you have one? If your properties are updated automatically, you may not realise that you also have access to a ZAProp control panel. The paragraphs below explain some of the useful stuff you can do with your control panel and how to do it. HOW DO I LOG ONTO MY CONTROL PANEL? Your office, and each agent in your office has a unique ID and password. If you are able to log into your office control panel, you can find your agent ID and password by clicking on MY ACCOUNT>ESTATE AGENTS>SHOW AGENTS and then click on the EDIT icon (looks like pencil and paper) and you will see the info you require. If you prefer, email us at info@zapropertyportal.co.za requesting your office and ID info and we will email it to you. Simply log in and update any phone numbers, email addresses or other details. You can even change your password it you please. HOW DO I ADD VIDEO CLIPS? Spice up your listings by adding video clips. Here is how: Click on MY ACCOUNT>PROPERTY LISTINGS>SHOW LISTINGS. Select a property by clicking on its EDIT icon (looks like a pencil and paper), scroll down to NEW VIDEO and use the BROWSE link to find a video clip on your computer (This can be a video clip of the property that you have uploaded from your digital camera). You can also add a caption to the video clip.GIVE IT A TRY NOW! Click on MY REPORTS on the top menu. - Click on EMAIL ENQUIRIES for a record of email enquiries. HOW CAN I POST NEWS OR ARTICLES TO? Scroll down the page and read item 4. HOW CAN I ADVERTISE "ON-SHOW" LISTINGS? Scroll down the page and read item 3. ZA Property Portal provides visitors with access to a rich selection of high-quality, interactive South Africa maps ranging from countrywide to suburban street level. This article uses a question and answer format to explain how to get the most out of these maps. Some of the information in this article is aimed specifically at estate agents but much of it is also relevant to anybody visiting the ZA Property Portal website. a. How are the maps created? The maps are generated automatically in response to the regional search criteria (ie. provinces, towns and suburbs) selected by property searchers. b. Where can the maps be viewed? The maps can be viewed by clicking on a link displayed in a box to the right of a list of property search results, or by clicking on the map icon displayed with the detailed information about a specific property. c. Why do I not see a map icon associated with certain properties? If the person who lists the property (either via the ZAProp control panel or on another website from which ZA Property Portal draws data) does not specify the relevant regional criteria (e.g. provinces, towns and suburbs) in designated fields, no map icon will be associated with the property. d. How can I ensure that a street map is displayed with a property I am advertising? Log into your control panel, click on "Show listings" in the "Property Listings" section of the menu on the left hand side of the page, and click the "edit" icon on the relevant property. Then add a street name in the appropriate field. 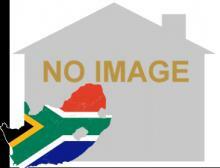 This will automatically generate a street map associated with your property on www.zapropertyportal.co.za. (Note: you can also use this method to specify that your property is on show). e. In what respects are the maps interactive? 1) They are zoomable: you can use the slider control on the left of the map to get wider or closer views of the maps. When you zoom in, the map may appear blurred for a short while before it resolves into a sharp image in which you can see details such as street names. 2) They are scrollable: mouse over the map (a hand icon will appear), click and drag in any direction. This will scroll the map and reveal areas that were outside of the original map view. 3). They offer satellite views and hybrid views (combination of satellite and map) which are also zoomable and scrollable. 4) They may provide additional information such as links to other streets in the suburb. This can be useful, in instances when a street was misspelled when the property was listed. 5) They provide contact details of the agent whose property listing triggered the map display. f. Are the maps printable? Yes. Simply press the "print" button. For best results (ie. bigger maps) set your printer to print in landscape format. Be sure to keep your "ON SHOW" property listings up to date so that your properties are seen when prospective buyers do an "ON SHOW" search on ZA Property Portal. Log into your control panel, click on MY ACCOUNT>PROPERTY LISTINGS>SHOW LISTINGS and select a property to edit. Scroll down and use the drop-down control to change the STATUS to ON-SHOW and fill in the DATE and TIME info and ADDRESS if you require a more detailed street map to display with your listing. You can use your control panel to mark properties as ON SHOW and to create street maps to your SHOW HOUSES. If you use the API system of automated uploading of listings from your own website, SKILPAD.com will flag your properties as being ON SHOW if they are on ON SHOW status on your own website. You can easily promote your business or your expertise by posting articles and news on the ZA Property Portal. Simply log into your control panel, click on the MY REPORTS menu link, then on the "Add New Article" menu link, and away you go!